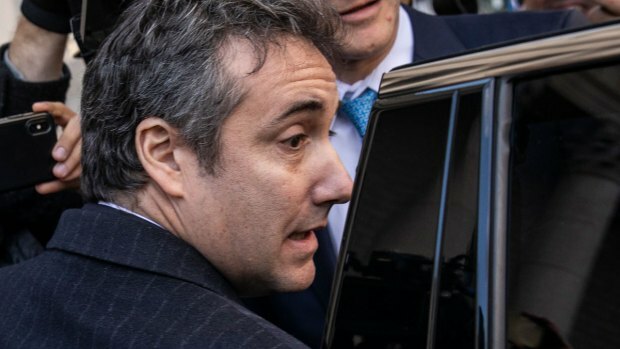 This Nov. 29, 2018, file photo shows Michael Cohen, former personal attorney to President Donald Trump, exit federal court in New York City. after pleading guilty to making false statements to Congress about a Moscow real estate project Trump pursued during the 2016 presidential campaign. President Donald Trump directed Michael Cohen to lie to Congress about efforts to build a Trump Tower in Moscow, according to online news site BuzzFeed, which cited two federal law enforcement officials involved in investigating the matter. NBC News has not independently confirmed the report, which was published Thursday night. Late Friday, a spokesman for special counsel Robert Mueller disputed elements of the report in a statement to CNBC. "BuzzFeed's description of specific statements to the Special Counsel's Office, and characterization of documents and testimony obtained by this office, regarding Michael Cohen's Congressional testimony are not accurate," Peter Carr said in a statement to CNBC. Michael Cohen sentenced to three years in prison for campaign finance violations from CNBC. Buzzfeed later released a statement that it was standing by its reporting. Trump on Friday morning accused Cohen of lying to reduce his sentence, but did not refer to the BuzzFeed report. Cohen, who was Trump’s personal lawyer and fixer for years, pleaded guilty in November to lying to Congress about the proposed Trump real estate project in Russia and the extent of the president’s involvement in and knowledge of that deal. The project never came to fruition. 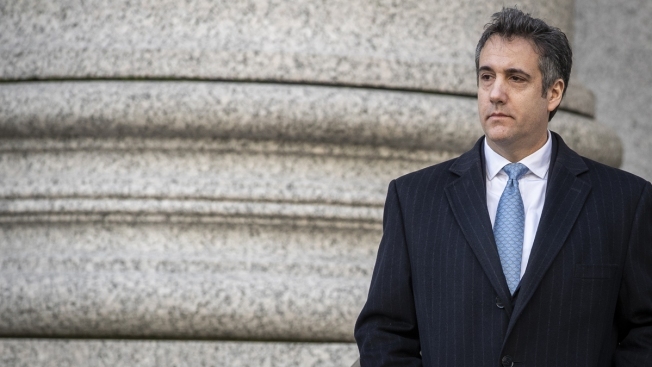 In a court filing, federal prosecutors say President Donald Trump’s former lawyer, Michael Cohen, deserves a substantial prison sentence despite his cooperation. He talked to Senate and House investigators about the Moscow tower negotiations in October 2017. 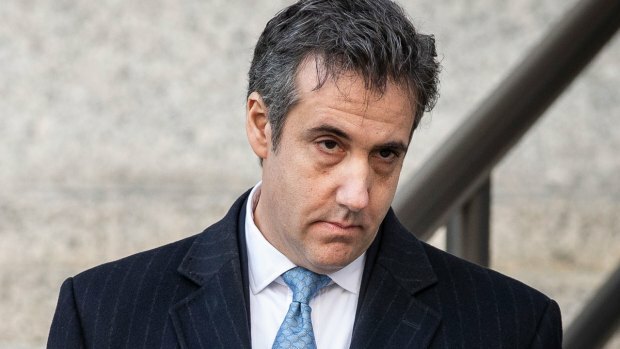 Prosecutors said Cohen lied in order to minimize links between Trump and his Moscow building project, and to give the false impression that the project had died before the Iowa caucuses in February 2016, the first contest on the path toward a presidential nomination. “He’s a weak person and not a very smart person,” Trump said. When Cohen was sentenced to three years in prison in December it was for several crimes, including campaign finance violations he said Trump directed him to carry out. According to the BuzzFeed report, the two law enforcement sources said Cohen told Justice Department special counsel Robert Mueller’s team that Trump personally told him to lie in order to hide the real estate mogul’s ties to the Moscow negotiations. Mueller is investigating potential links between the Trump campaign and the Kremlin. The White House did not respond to a request for comment from CNBC sent late Thursday. The Washington Post quoted Trump’s current lawyer, Rudy Giuliani, as saying, “If you believe Cohen I can get you a great deal on the Brooklyn Bridge.” He gave a similar response to The Associated Press and NBC News. BuzzFeed reported that Mueller’s office learned about Trump’s alleged order for Cohen to lie through “interviews with multiple witnesses from the Trump Organization and internal company emails, text messages, and a cache of other documents.” Cohen, the report said, then subsequently acknowledged that directive. For more, see BuzzFeed's full article. CNBC's Kevin Breuninger and Dan Mangan contributed to this report.